Welcome to YA Scavenger Hunt! This bi-annual event was first organized by author Colleen Houck as a way to give readers a chance to gain access to exclusive bonus material from their favorite authors…and a chance to win prizes. At this hunt, you not only get access to exclusive content from each author, you also get a clue for the hunt, and the chance to enter more giveaways. Add up the clues, and you can enter for our prize–one lucky winner will receive one book from each author on the hunt in my team. But play fast: this contest (and all the exclusive bonus material) will only be online for 72 hours. Go to the YA Scavenger Hunt page to find out all about the hunt. There are contests going on simultaneously, and you can enter one or all. I am a part of the RED TEAM–but there are other colors, and an indie team for a chance to win a whole different set of books. If you’d like to find out more about the hunt, see links to all the authors participating, and see the full list of prizes up for grabs, go to the YA Scavenger Hunt page. Directions: Below, you’ll notice that I’ve listed my YASH code number. Collect the numbers of all the authors on the red team and then add them up. Today, I am hosting Erin Cashman on my website for the YA Scavenger Hunt in celebration of her latest book. Cashman is an award winning author of YA fiction. UNCHARTED, a contemporary fantasy, was published in September and her debut, THE EXCEPTIONALS, was a Bank Street College of Education best book of the year. She is the workshop coordinator and a permanent mentor at the 1st 5 Pages Workshop, and she lives in Massachusetts with her husband, three children, and their energetic rescue dog. Find out more information about Cashman and her book here and info about buying the book here. UNCHARTED Summary: Seventeen-year-old Annabeth prefers the fantasy of her books and paintings to reality—because in reality, her mom is dead, and it was all her fault. When she accompanies her father to the funeral of some family friends who drowned, she’s surprised to find her grief reflected in the face of Griffin Bradford, the son of the couple who died. Griffin is nothing like the carefree boy she once knew. Now he’s irritable, removed, and he’s under police investigation for his parents’ deaths. For her exclusive content, Cashman has created a dream cast for her UNCHARTED characters. Check it out here and see if you can help her decide which actor should round out the team. And don’t forget to enter the contest for a chance to win a book by me, Mary Amato, and many more by other authors. To enter, you need to know that my number is 61. Add up all the code numbers of the authors on the red team and you’ll have all the secret code to enter for the grand prize! To keep going on your quest for the hunt, you need to check out the next author, JM Sullivan! 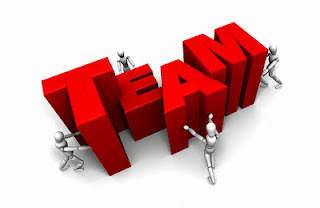 I am most excited about the red team because there are several great authors on this team. Thanks! Happy reading and hunting.